The Castle Concierge blog has created this privacy statement in order to demonstrate our steadfast commitment to the users’ privacy. The following discloses the information gathering and dissemination practices for The Castle Concierge. The Castle Concierge is committed to your privacy, and does not sell, exchange, or release any of your individual personal information to a third party. 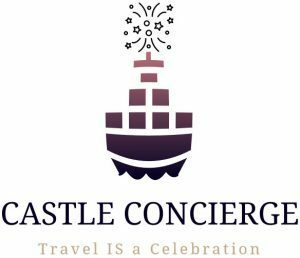 Our website address is: http://www.thecastleconcierge.com. When you browse through any web site, certain personal information about you can be collected. Like most standard web site servers we use log files. We automatically collect and temporarily store information about your visit. We use this information for statistical purposes and to help us make our site more useful to visitors. The data collected may include Internet protocol (IP) addresses, domain name, browser type, Internet service provider (ISP), referring/exit pages, platform type, date/time stamp, and number of clicks. This data is used to analyze trends, administer the site, track user’s movement in the aggregate, and gather broad demographic information for aggregate use. TheCastleConcierge.com has no access to or control over these cookies that are used by third-party advertisers. IF YOU ARE UNDER 18 YEARS OLD, PLEASE HAVE YOUR PARENT/GUARDIAN READ THIS POLICY COMPLETELY. PLEASE ASK YOUR PARENT/GUARDIAN TO EXPLAIN IT TO YOU IF YOU HAVE ANY QUESTIONS. Ask your parent or guardian for permission before you send any personal information over the Internet. Our policy, with respect to the collection by other organizations of personal information from children at our site is: The Castle Concierge blog does not have any agreements with outside organizations to collect personal information at our site. The only personally identifiable information about you that is collected is that which you provide on a voluntary basis. We make every effort to ensure that whatever information you provide is maintained in a secure environment. We will not knowingly or intentionally disclose, give, sell or transfer any personal information about our visitors, unless required for law enforcement or statute. We reserve the right to perform statistical analysis of user behavior and characteristics while visiting this site. We do this in order to measure interest in and use of the site. We may share this information in the aggregate with advertisers or potential advertisers. We will use information to let advertisers know how many visitors have seen their banners and how many have clicked on them. We provide only aggregate data from these analyses to third parties. Advertisers will not be able to identify any individual from the data provided. This site has security measures in place to protect the loss, misuse, and alteration of the information under our control. We are aware of your privacy concerns and strive to collect only as much data as is required to make your use of this site as efficient and satisfying as possible. We do not sell, trade, or otherwise transfer to outside parties your Personally Identifiable Information unless we provide users with advance notice. This does not include website hosting partners and other parties who assist us in operating our website, conducting our business, or serving our users, so long as those parties agree to keep this information confidential. We may also release information when its release is appropriate to comply with the law, enforce our site policies, or protect ours or others’ rights, property or safety.However, non-personally identifiable visitor information may be provided to other parties for marketing, advertising, or other uses. The Castle Concierge is owned and operated by Meridionale Media, LLC located in Spring Hill, TN. This site is a private enterprise and is not affiliated with, or approved by, the Walt Disney Company, the Walt Disney World Resort, or any of it’s affiliates or designates. COPYRIGHT NOTICE© 2018 Meridionale Media LLC. All rights reserved.